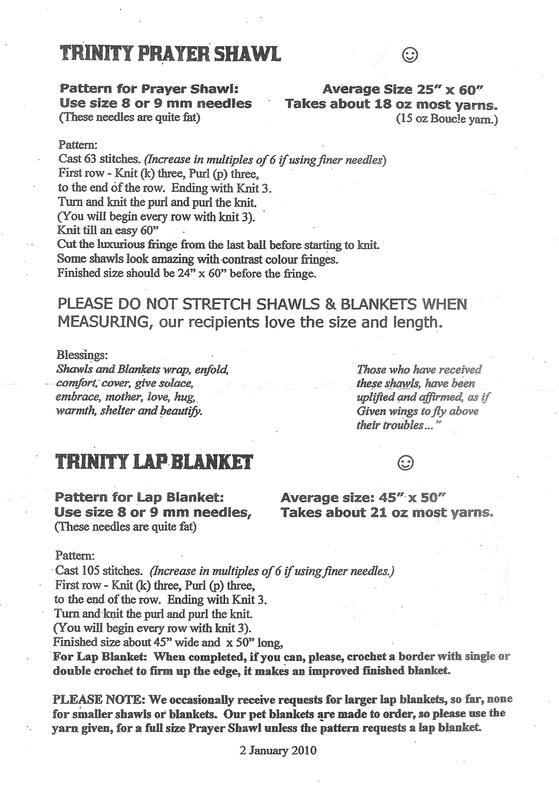 The Trinity United Church on Speedvale Avenue provides yarn and the following patterns for volunteers to knit either a Prayer Shawl or a Lap Blanket. These are great patterns for learners. You are welcome to donate the yarn only, donate the yarn and knit a shawl or blanket, or pick up a package of yarn with the pattern from the church and donate your time and effort of knitting.